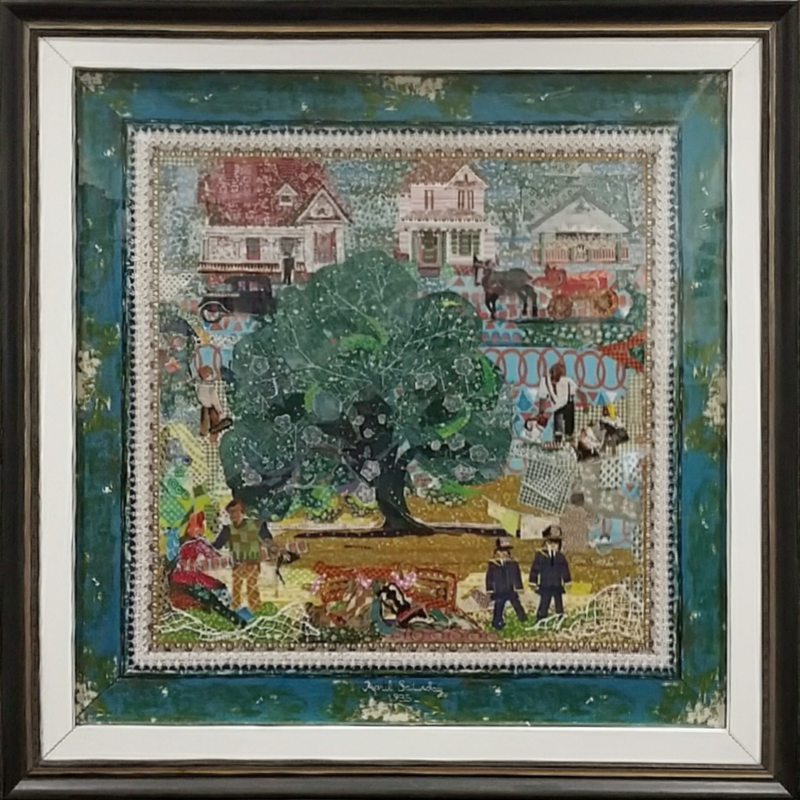 Memory art incorporates many minute pieces of colored cloth glued together to create a memory. In Sara's words, "My medium is fabric, and my tools are scissors and glue...As I lay out the background and arrange my 'stage,' my pictures begin to come alive." 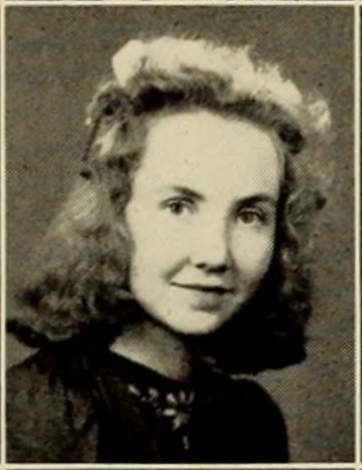 Sara Sugg Greene Williams attended Howard College in the early 1940's (now Samford University). Later, she attained a B.A. in art and Spanish from New Orleans' Newcomb College in 1944. Growing up near East Lake and Howard College, she created several pieces reflecting her memories of the area. 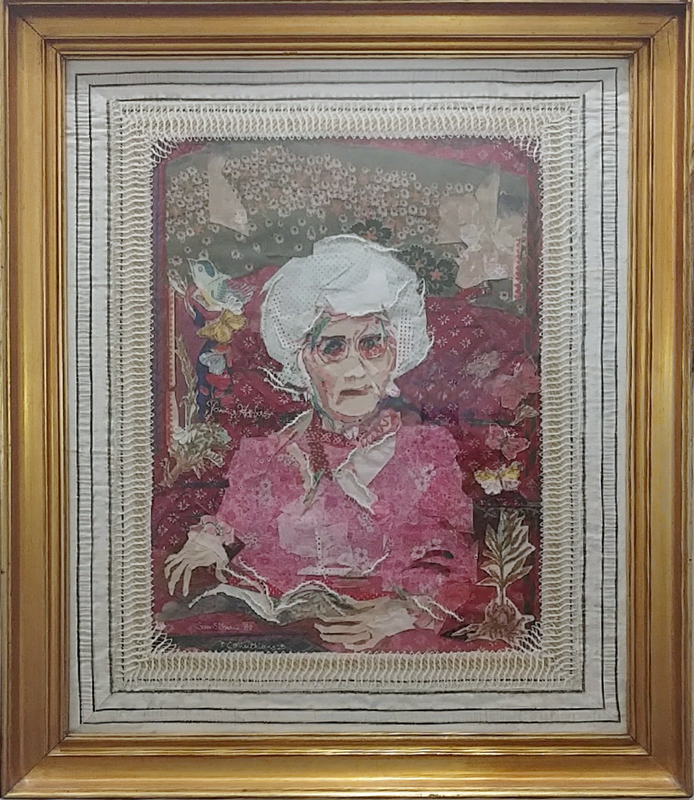 Sara's 1999 library exhibition included 16 framed pieces. Through donation, we have received four of her pictures. Four memory art pictures are on display in the library on the third floor. Third Avenue South at 78th Street, back of old Renfroe Hall, the boys' dormitory of old Howard College. 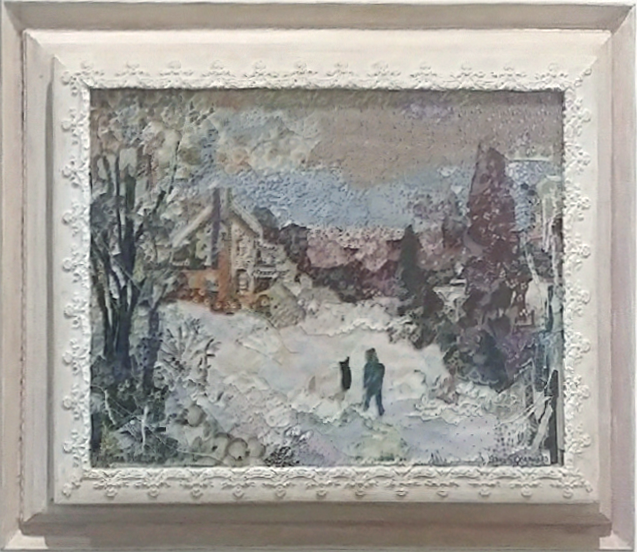 The snow, January of 1940. I was a Woodlawn High School senior when this 11-inch snowfall occurred. Streetcars did not run. Schools closed for a whole week. East lake froze solid enough for skaters. Here, Miss Hattie Williams' house has a view of all the "action" - if you can call it that. This neighborhood was a wonderful one, in sight of the churches, both the Baptist and Methodist, boundary of the college, surrounded by residences that we all remember: three East Lake doctors, various faculty residences, and walkways to the Carline, the Station, the grammar school, the library, not to mention the drugstores and Adwell's Bakery (we sold wonderful doughnuts for YMCA for 15 cents a dozen the following year when I was a Freshman at old Howard College). Vannie Polk Harless, great-niece of President James K. Polk, great Christian lady, celebrates Easter in her heart every day. Think of the Chinaberry Tree as a clock face, and watch life around it. Ice-man Louis gives "chunks" to the children; the mule knows the routine. Mrs. Bell hangs out clothes, two Jordons return from marching with their father's band; Joe and Elma are off somewhere in a world of their own. Absent-mindedly, Joe picks up trash. Norman Stringfellow and violin go for another lesson; so do I. Somebody at the Parker house must be sick. It's Hillman Avenue at 74th Street, East Lake, 1935.